In Spain & Portugal Tapas are considered a culture. Shared amongst friends in a relaxed and unhurried environment, to be combined with wine, lively conversation, tall tales and spirits! Our Tapas Menu offers "Small Dishes" reflecting the modern fusion flavours of Portugal & Spain. We offer similar "Tapas" style menus for groups and all food is served family style. We can customize menus for groups based on our current menu on offer. Our Tapas Menu offers "Small Dishes" reflecting the modern fusion flavours of Portugal & Spain. Dishes are designed for two people to share, we suggest 2—3 dishes per person as a meal. 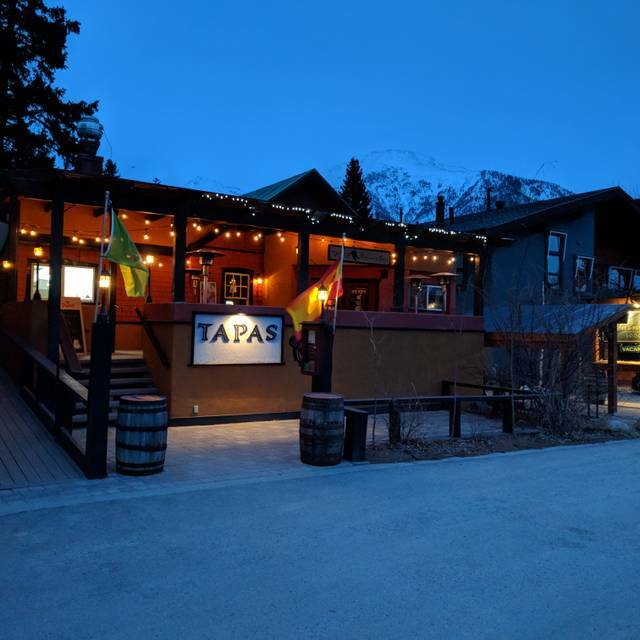 One of our favorite restaurants in Canmore. 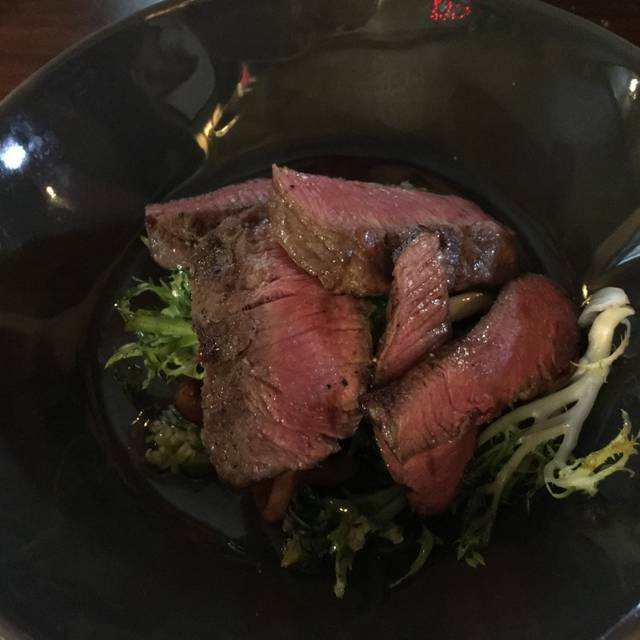 Food is always excellent, great service and have a fairly good wine list to choose from. The evening we were hoping for an outstanding experience tapas how could you go wrong. The menu had a lot of interesting items albeit more expensive than I've seen anywhere but maybe the tastes would blow me away ,not ;4 dates with blue cheese $12 mediocre at best;next chorizo with figs in a sauce could have been a low end bbq sauce tasty but not much here for the price ;now for some Gambos 2 prawns $16 again these must have been hand raised for the price LOL the lime left no taste of prawn.Still very hungry let's have tostadas artichoke and goat cheese on charred toast all that you could taste was the char of the toast my wife had the beef tartar same no flavor just the taste of charred toast. Well were at $80 And still not feeling very satisfied so let's throw down $24 for a main plate 2 chicken thighs de boned in a sauce with a few vegetables no real flavor ;we give up .We leave $140 includes wine corkage and tip .As a side still hungry we are not big eaters but this was absurd I've had tapas at many eateries for half the price and left totally satisfied. Hello Dwayne, we are very sorry to hear that you did not enjoy the food at tapas but we appreciate that you acknowledged the service and ambiance. The perception of value can be skewed in some occasions but we do serve high quality ingredients and our food costs are in line with the pricing model. The Gambas are giant prawns and would be the equivalent, for example, of serving 8 small prawns if we using a standard size etc. Thank you again for your feedback. We enjoyed our anniversary dinner here. So many flavours, the drinks were delicious and the atmosphere and decor made for a night to remember!! Thanks Tapas Canmore!! From the moment we walked through the front door I fell in love with this adorable restaurant. It was so cozy and quaint and we were seated upstairs in an almost private quiet area. Our host(s) and our server Oli (so) were so attentive and friendly! 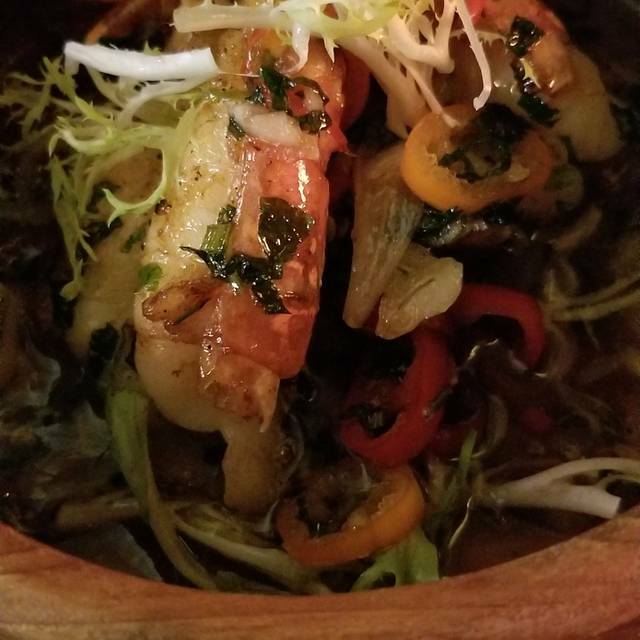 We went with the Chef’s Selection because there was too much to pick from on the menu, and we were not disappointed! I am now a lover of blue cheese after devouring the blue cheese stuffed dates. And the gnocchi, duck, and everything in between was incredible. We’re definitly making this our go to when we come back to Canmore. We had a romantic birthday dinner at Tapas. The ambiance was well suited for what we were looking for: a quiet, intimate dinner location. 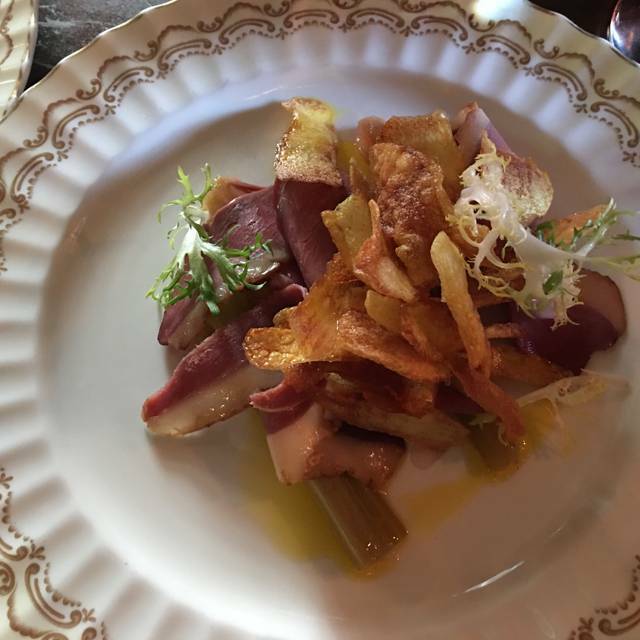 We went with the Chef's menu and were pleasantly surprised by the knowledge of the staff, the personal attention we received and the wonderful flavours of all the dishes. We received 7 courses, sharable and wonderfully flavoured. There was a wide variety of blended flavours, that we were able to explore, ingredients we would never had thought of putting togeher before. We were pleasantly surprised by Tapas quality of food and service. We would both recommend Tapas, as well as go there in the future. A busy night! And lacking wait staff I feel. Good however, was great - as always. Great food and ambience! We love that Tapas is able to adjust for dietary needs such as vegan and vegetarian. Always a great experience! Hello Tina, We are disappointed to hear that you didn't enjoy your experience at Tapas. Please don't hesitate to contact us directly eat@tapascanmore.ca if you would like to follow up with more details. We do recall that you and your group ordered the tasting menu and that you were in a rush so we are sorry that we did not meet your expectations. No complaints. Such a cozy place, I was surprise the restaurant is not that big but wow very organized and such team spirit. Food was amazing! Server was great!! Loved the combinations of foods in every dish. Flavourful and interesting Spanish fare, standout vegetarian options, cost and intimate setting and friendly thorough service. Looking forward to going back soon. Greatmenus to choose from, lots of things that I had never tried before that were a treat to try. We loved the special gnocchi for the evening! Thanks for the complimentary glasses of bubbly for our anniversary, we’ll be back! Food was very unique and the staff was very friendly and explained what you were eating. Very attentive and helpful! Great place to dine and try new food! 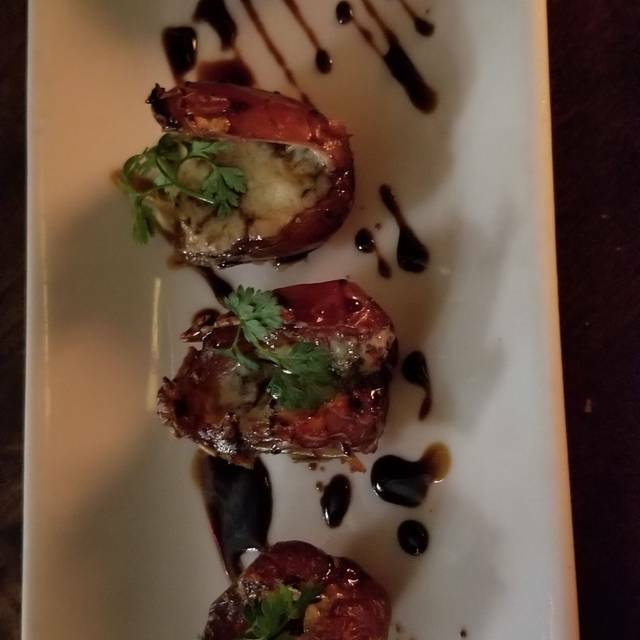 Tapas was recommended to me by a family member and I’ll definitely recommend it to others. Gnocchi was amazing! Another fantastic dining experience! 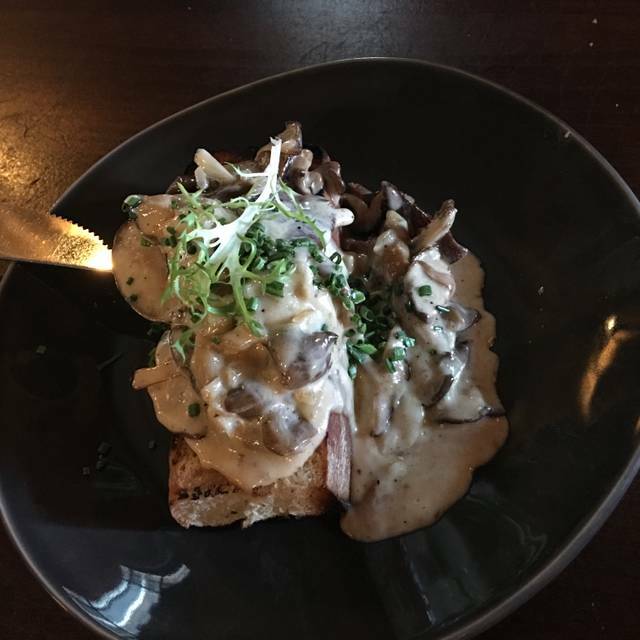 Look no further for a special dining experience while in Canmore. Welcoming staff, fantastic ambience, friendly service and the food is amazing. 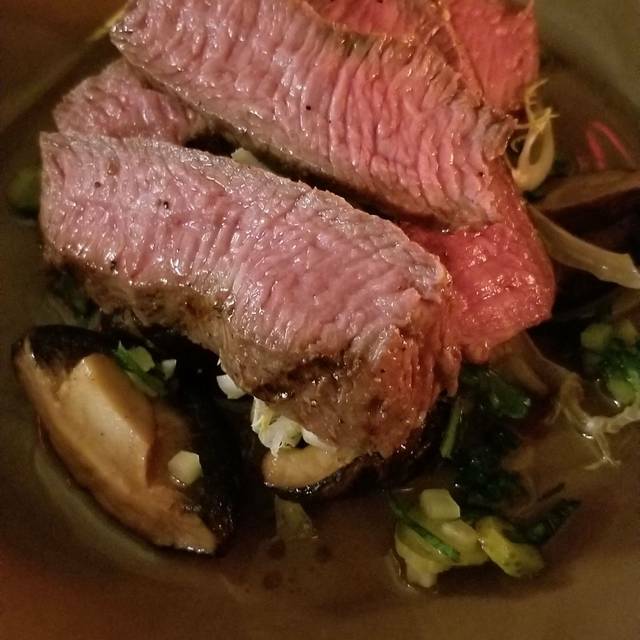 The flat steak and gnocchi were superb! We will definitely return. Amazing food. Amazing service. This was our first time at this gem and it did not dissapoint! The servers made great suggestions for our shareable selections and were very knowledgeable when we asked questions about the dishes. We will definitely be back. Perfect place for a sunday night meal with friends. The room is perfect for talking with great energy but not an overbearing din of noise. The chef's specials were excellent, and the wine was perfect. Tapas came highly recommended by 2 friends and they were not wrong. The food is fabulous, the service exceptional and the ambiance very appropriate for a romantic dinner. We will definitely recommend to others. 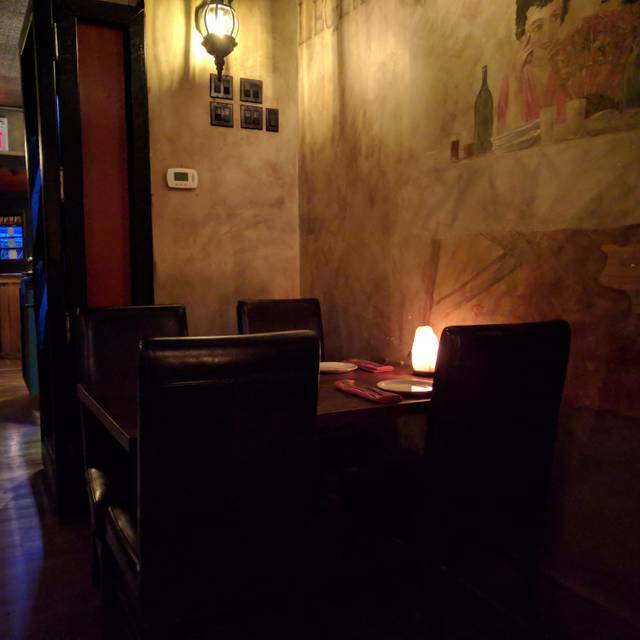 Excellent food and atmosphere, it was our first time at this restaurant and our waiter, Niles, was extremely knowledgeable and helpful with picking out our plates. Amazing meal, live guitarist, it was exceptional! Had the chef’s special for two. A little pricey but worth every penny. 6 dishs + dessert. Every dish was delicious. Definitely one of the best restaurants, if not the best, in the larger Banff area. Canmore is a cool little alternative, a bit less touristy than Banff Springs, with nice galleries, shops, and eateries. TAPAS was such a great meal, and offered one of our friends excellent VEGAN and Gluten Free alternatives, some of them standard on the menu. The food was outstanding from beginning to end, as were the drinks. Service was top notch and attentive. Worth the money, which was reasonable for value. Definitely a must when we return to the area. Always good food and a unique experience. GREAT wine list! Staff are fantastic and very attentive to needs and intuitive when it comes to suggestions. Small and cozy atmosphere. Excellent choice of menu items. Enjoyed tapas and pinxtos in Spain and really enjoyed the road down memory lane. Very good election of wines and affordable prices. Free parking nearby. Reservations are a must. Great food and service, charming ambience. Good both for families and romantic dinners. Although not as good as our first visit in May 2018 we still enjoyed our evening. Some of the food alterations from last year weren’t our favourite but we do understand that change is also required. Great atmosphere, excellent service, food was divine, great selection of wines! This restaurant knows how to do food well. We got the chef's choice and he personalized it for my gluten-free needs. It was an amazing meal and we found ourselves enjoying foods we wouldn't normally eat because they were so well done. The staff was friendly and helpful and the entire experience was memorable. We will be back, though we may have to save up before we do come back! Food and service were excellent. Some strange things on the menu that make you order things you wouldn't normally. Some of the best food I've ever had (the carrots and chicken were amazing.) I never had to wait to order a drink or ask a question, as the server was always walking by. I loved the tapas style of eating, sharing multiple plates coming out as they were ready. Restaurant was pretty small but nice inside. A little expensive but you get what you pay for. Expect to pay around $150 for 2 people including drinks and tip. 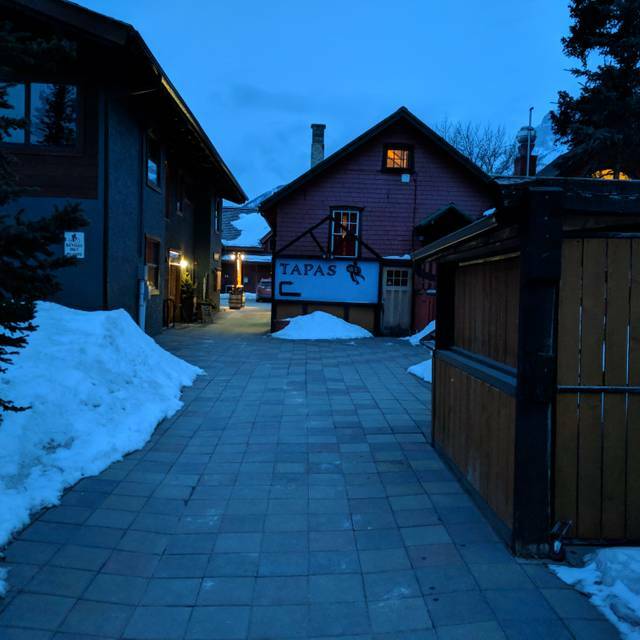 Always a pleasure to share a meal at Tapas in Canmore. Especially grateful to James who help with last minute changes to reservation and our waiter Ollie, while provided professional service. Attentive and friendly without being intrusive. Highlights tonight were the beef tartar, cauliflower with harissa and the Flatiron steak. Chocolate tourine with olive oil foam was an amazing dessert. !